I’ve always known I that I have issues with roaches. I got married partly because my dad was no longer there to take care of those giant, flying monstrosities that plague Alabama during the summer. Just the thought of Stormship Troopers gives me more nightmares than sitting through The Exorcist. 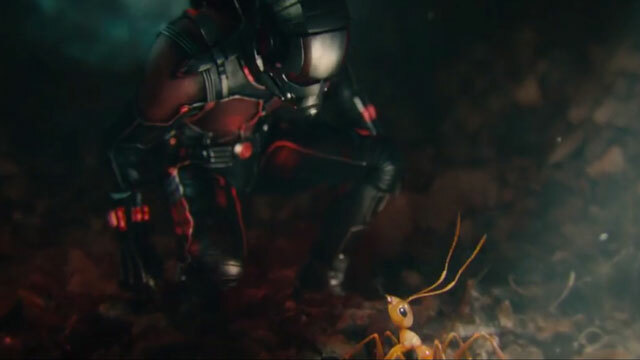 But I didn’t think ants bothered me much… until I watched Marvel’s Ant-Man and found out that swarms of the critters on a 30-foot screen is enough to make my skin crawl for two solid hours. Paul Rudd joins the Marvel Cinematic Universe (MCU) as Scott Lang, the new Ant-Man, recruited by scientist and inventor Dr. Hank Pym, who also happens to be the original Ant-Man. Scott is a thief, but not a bad guy–more Robin Hood than Danny Ocean. After being released from prison, he is tapped by Dr. Pym to don the suit and break into a highly secured facility to acquire a similar suit from the doctor’s madman ex-protege. The film is part superhero movie and part heist movie. The combination works. Coming off the over-the-top spectacle of Age of Ultron, Ant-Man serves as a nice transition into the next phase of the MCU. Speaking of which, I really enjoyed the way this film wove itself into the universe. When Dr. Pym first tells Scott why he is needed, Scott suggests that they call the Avengers. Dr. Pym explains why he isn’t willing to do that and the story moves on. I appreciated the film taking these few seconds to cover this. I remember how the Thor and Iron Man movies that came after the first Avengers film didn’t cover why the other Avengers weren’t called in. The absence served as a gaping plot hole that was hard to ignore. It’s better to address it as they did in this movie. The film ties into the MCU in other ways as well, though I didn’t feel it beat the point over the head. A handful of scenes made certain to place Pym and Scott in the same world where The Avengers, S.H.I.E.L.D. and Agent Peggy Carter all reside. In my opinion, it was done smoothly and the final scene was especially exciting. 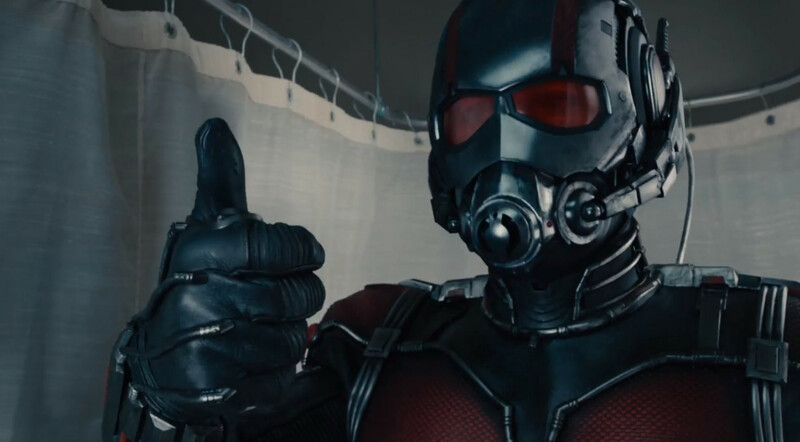 The acting in Ant-Man was good–not great, not totally fantastic, but solid. Douglas, Rudd and Lilly have good chemistry as a group and play off each other well during both humorous and more dramatic scenes. 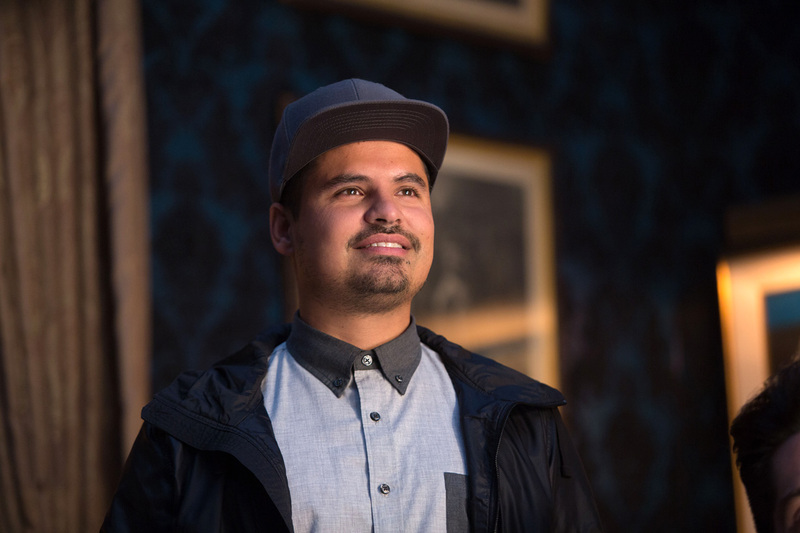 The stand-out for me, though, is Michael Peña as one-third of the trio of supportive sidekicks Ant-Man brings into his new world. Peña steals all his scenes in a most amusing and welcome way. He offered the best bits of comedy the film had. There will likely be those who’ll complain at the lack of romantic subplot in the film. I am not one of those people. I appreciate that the movie focused on the hero, the heist and the adventure of the plot instead of having characters spend time making googly eyes at each other. They had better things to do. Besides, I’m a sucker for movies where the main love story is between a dad and his daughter and the focus is their connection instead of passionate love affairs. For that part of me, this movie offered two such story lines. And I am appreciative. Overall, Ant-Man is a good movie and a welcome addition to the MCU. Though less explosive, loud and spectacular than many of the films it’s connected to, I think that is a big part of what makes it work. If every movie is filled with non-stop action and explosions, those things stop having any meaning (are you listening, Michael Bay?!). So the more relaxed and chill vibe of this film is a nice stepping stone within the universe, especially when we know the biggest battles are on the horizon. TIPS FOR SEEING THIS MOVIE: There are two post-credit scenes. This first happens during the credits but the second is at the very end. Stick around and wait. It’s worth seeing. Have you seen Ant-Man? What did you think? Are you excited about how this film will tie in with the rest of the MCU? Tell me your thoughts in the comments. This entry was posted in Reviews, Reviews: MOVIES, T. Mack and tagged Ant-Man, Evangeline Lilly, Michael Douglas, Movie Review, Paul Rudd. Bookmark the permalink.